Renee joined the JSA team in January 2014 as Assistant to General Manager Mark Amos. 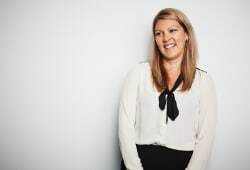 She has 20 years’ experience in administration and office support roles, nine of which were spent at one of the ‘Big 4’ accounting firms where she gained valuable knowledge of the financial services industry. Renee’s primary role is to assist Mark in his General Manager role, which involves overseeing JSA’s divisions: Financial Planning, Accounting and Tax, Mortgages and Finance, Novated Leasing & Finance and Property Consulting . Renee also supports the Client Service Administration team as needed and at times, can be seen as the friendly face at Reception. Outside work, Renee spends most of her time caring for her two children. She loves going to the beach on weekends to relax with friends and family and also to watch her son compete in surfing competitions.